The holidays are fast approaching, but that doesn't mean you can't squeeze in some time for some free nonprofit education! This month's webinars feature topics like self-care, events, volunteers, and 2017 planning. Have you found that it’s getting harder or taking longer to fill up your events? Are you sick of waiting for checks in the mail? Exhausted from processing registration forms? The 3 biggest mistakes nonprofits make with their website. The 4 attributes of an engaging web presence. 3 proven methods for promoting your website. The 5 required elements of an engaging website. Real-world examples of nonprofit organizations that have mastered their online presence. Whether you are early in your career or have been a leader for many years, it is important to be intentional about your own professional and leadership development. In this webinar, we will consider the essential foundation for further developing as a professional: becoming more aware of your values, goals, strengths, and areas for improvement. We will then consider professional development strategies with examples of steps you can consider taking. Among the topics we will examine: ways to gain truly useful feedback—and why it’s crucial; building a variety of developmental relationships; the importance of emotional intelligence for leaders; strategically identifying growth-promoting projects; and the power of networking authentically. Upon request, you will receive a supplemental resource packet. The crucial foundation for ongoing professional development: increasing self-awareness. Tools (some that are free) to explore your values, leadership style, strengths, and more. Strategies to intentionally promote your own career and leadership development. Ideas for authentic and effective networking—even for introverts! This nonprofit webinar will present a case for nonprofit professionals to engage in self-care and provide steps to shift organizational culture from one of sacrifice and burnout to one where balance, rest and replenishment are part of a strategy for success. 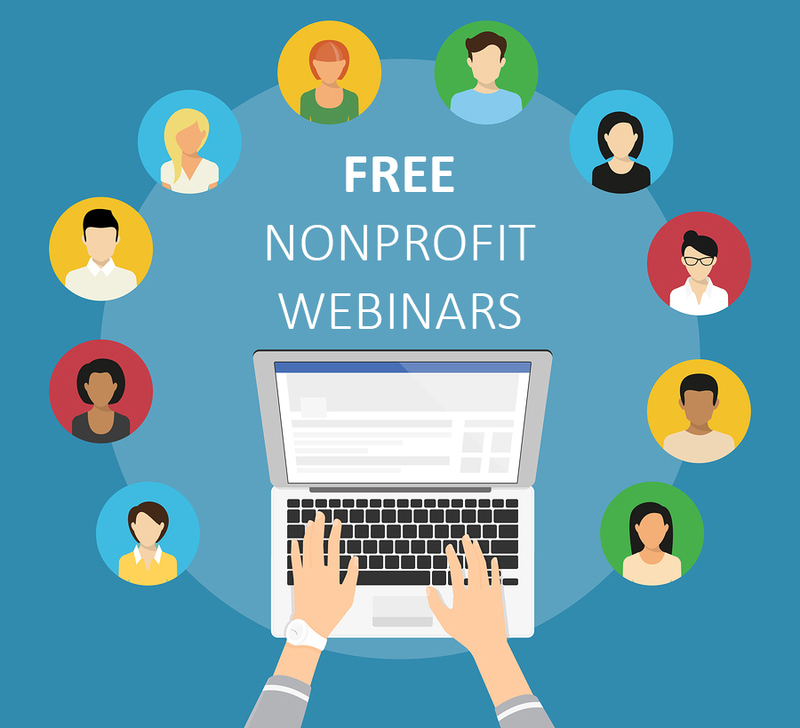 This nonprofit webinar is presented by Beth Kanter and Aliza Sherman, authors of The Happy Healthy Nonprofit: Strategies for Impact Without Burnout. Being a nonprofit professional should not translate to being a martyr; it should not mean—figuratively or literally—giving up your life for a cause. We should not view dysfunctional work habits or work conditions as necessary burdens of the nonprofit world. Leaders should also encourage staff to develop individual self-care plans. What is the Wellness Triad and how does it affect the way we work? What are the 5 Spheres of Happy Healthy Living? How do we know when we are burning out? What is a self-care plan and how do you get one? What small changes can we make in our life that can have a powerful impact on our work? How can we bring self-care into our workplace? What small, incremental changes can we make at work to positively influence other stakeholders in our organization’s mission? How can we carry out a deep cultural shift within our organization for greater impact? How can we roll out an organization-wide self-care plan or “WE-care” plan? 5) Start Your 2017 Grant Strategy Off Right! As the calendar year begins to wind down and you think about the new year, are you also thinking about how to strengthen your grant seeking strategy in the upcoming year? Starting your year off with a strong plan and clear goals in place will ensure that you secure the funding necessary to achieve your goals for grant revenue. Participating in “Start Your 2017 Grant Strategy Off Right!” will provide you with a strong understanding of your success in 2016 and how to set goals for 2017 that will help expand your grant seeking strategy and revenue. We will also discuss how to successfully engage your colleagues in being part of the grant planning process for the new year. You are looking to increase your success percentage and craft more competitive grant applications. Do you sometimes feel that your membership is like a leaky boat? Every time you look at your database, you notice a few members have left? Working effectively with others helps your organization better serve the community. Increasingly, that work has a virtual component. Yet, trying to get things done via virtual channels can be a frustrating experience. Our upcoming free webinar can help! Still fairly new to Adobe Photoshop or wish you had a better handle on the basics? Join TechSoup's in-house Adobe novice-turned-pro Wes Holing to learn how to use some additional Photoshop filters and tools. He'll help you learn how to edit and improve your images. Your year-end campaign is probably well underway, and hopefully you’ve got the staff holiday party scheduled, but what else can we focus on as we head into the new year. Is your organization ready for 2017? Join Gene Takagi and Michele Berger of NEO Law Group for a list of 10 tips and ideas to get yourself ready for 2017. Gene and Michele will discuss what the board should do before rewarding an executive with a year-end bonus, development of next year's board calendar, the increasing importance of state registrations, and other items to consider or complete before year-end. At VolunteerMatch we have a unique view into what volunteers are looking for in an opportunity. The age of one-size fits all volunteer engagement is coming to an end. This webinar will start with a review of some of the things that we know about what volunteers are looking for in an opportunity. It will then help you use this information to start designing volunteer opportunities and determining who is the “right” volunteer for your program. You’ll also learn how “word of mouth” plays such a large role in attracting volunteers to your organization and how social media makes this even more important. The trends that are influencing volunteer engagement and what that means for your program. How to create volunteer opportunities that match what volunteers are looking for now. How to take advantage of "word of mouth" recruitment by understanding what types of volunteers are right for your program. The role that social media can play in engaging the volunteer of the future. 3 keys to becoming a thought leader. Who should blog? It’s not who you’d expect. 7 components of the best nonprofit blogs. Steps to creating a blog for your nonprofit, including how to maintain a blog long-term. How to get the word out about your blog. What are landing pages and why we should care. The biggest landing page mistakes and how to avoid them. How to build perfect landing pages. 13 types of landing pages your organization should have. 13) Motivate or Medicate: Getting staff to do what you want! Motivating others is like forecasting the weather. You have no idea what may help you prepare or whether you'll soon be struck by lightning. For that reason, we should never try to “motivate”, but instead to have a deeper understanding of individual needs and putting the right factors in place. True achievers know how to get this done. When people do not respond to your needs or requests, it will stem from one or more situational factors, most of which you can control. Learn what those factors are, how individuals are different, and how we may want to influence people in our lives (or at work) to improve productivity. Libraries should be engaged with their local social sector community. The social sector includes nonprofits, as well as grantmaking organizations and business enterprises with an explicit social purpose. This free webinar will offer practical guidance on the best tools, training resources, and marketing tactics your library can use engage the social sector in your community. You will also hear examples of how librarians have implemented these tools and tactics in their libraries. Learn the basic elements of how to draft a project budget with confidence! Are you ready to start fundraising for your project or idea, but don’t know what and how much to ask for? If preparing a budget for your foundation grant is holding you back, this class will provide you with step-by-step instructions on how to generate a standard project budget for a foundation proposal. We all worry about the hard risks that can have an impact on our volunteers and the work they do, but too often we don’t think about the soft risk. Soft risks are the attitudes, beliefs and actions that expose our organizations to risks. Those risks may include the actions of staff – both paid and volunteer, interactions on social media, lack of training for leaders and volunteers - leading to risky behavior, and how failing to screen for characteristics or “fit” can open volunteers and the organization up to risk. This webinar is designed to help attendees identify soft risks in their organization and give them the tools to make changes to processes and culture to minimize and address these risks. Understand how your organization's culture of volunteer engagement may be opening it up to soft risk. Lead your organization though a soft risk assessment. Design communication and training plans to address soft risk. How do online engagement and online donation systems work together to benefit nonprofits? Join us for a livestream Q&A with Andrea Lloyd, Business Development Director at JustGive. Andrea will share her expertise and insight around online engagement to help you increase donations and strengthen support for your nonprofit. She will discuss the benefits of online donation systems like JustGive, strategies and recommendations for implementing donation tools virtually, and what works and what doesn’t when it comes to maximizing your efforts at year-end. Have you noticed that it’s getting harder and harder to grow your membership? Is your membership website an engine that brings in new members while you sleep? If not, I’ll show you how anyone with no tech experience can use membership management software to turn their website into a new member recruiter — in just an afternoon.